NYC Immigration Lawyers, Naturalization, Green Cards, Deportation Defense, Brooklyn, New York - How Do I Let USCIS Know My Travel Plans Have Changed? 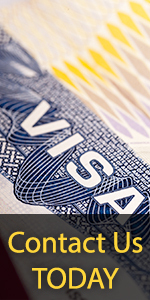 » How Do I Let USCIS Know My Travel Plans Have Changed? How Do I Let USCIS Know My Travel Plans Have Changed? Why Do I Need to Notify Immigration if my Travel Plans Change? The USCIS approval notice for your petition will designate the U.S. Consulate where you will obtain your nonimmigrant visa. If you are from a visa-exempt country, your approval notice will designate the port-of-entry where you are to enter the U.S, rather than a U.S. Consular office. If you (the beneficiary of the petition) intend to cross the border at a different Immigration port-of-entry or receive your nonimmigrant visa at a different U.S. Consular office than is indicated on your petition approval notice, your employer (who filed the visa petition) must notify Immigration of the change in your travel plans. · Visa Required: Immigration will notify the U.S. Consular office where you will be obtaining your nonimmigrant visa that your petition has been approved. The U.S. Consular office must receive the notice of approval from Immigration before the U.S. Consulate can provide you with the documentation necessary for entry into the U.S.
· Visa Not Required: (e.g., Canadians and some residents of islands adjacent to the United States), Immigration will notify the port-of-entry where you will enter the U.S. that your nonimmigrant petition has been approved. The port-of-entry must receive this notification before the port-of-entry can provide you with the documentation necessary for entry into the U.S. If you travel outside the United States and desire to re-enter the country, please carry your original approval notice with you. How Do I Notify Immigration if My Travel Plans Have Changed? If an Immigration petition has been approved for you, your employer will need to file Form I-824 (Application for Action on an Approved Application or Petition) to notify Immigration of the change. Your employer must file Form I-824 (Application for Action on an Approved Application or Petition), including the correct fee, with the USCIS office that approved the original petition. Detailed information is provided in the instructions for Form I-824. Forms are available by calling 1-800-870-3676, or by submitting a request through our forms by mail system. For further information on filing fees, please see filing fees, fee waiver request procedures, and the fee waiver policy memo. There is no statute that covers this action. However, rules governing Form I-824, Application for Action on an Approved Application or Petition, are published in Title 8 of the Code of Federal Regulations under 8 CFR § 103.5b. Your employer should contact the USCIS office where the application is filed. Your employer should be prepared to provide the USCIS staff with specific information about the application. Please see Finding the Status of Your Case for complete instructions on checking the status of your application. See U.S. Field offices for information on Immigration offices. If your employer's application is denied, your employer will receive a letter that will tell your employer why the application was denied. Your employer may submit a motion to reopen or a motion to reconsider to the same office that made the unfavorable decision. By filing a motion, your employer is asking the office to reexamine or reconsider its decision. A motion to reopen must state any new facts that would support your employer's motion. Your employer may be required to submit affidavits or other documentary evidence in support of these new facts. A motion to reconsider must establish that the decision was based on an incorrect application of law or Immigration policy, and further establish that the decision was incorrect based on the evidence in the file at the time the decision was made. For more information, please see How Do I Appeal the Denial of Petition or Application?.